A delegation of several CGIAR scientists led by IITA Deputy Director General, Partnerships for Delivery (DDG-P4D) Kenton Dashiell took part in the Partnership for Recovery and Resilience’s (PfRR) Accountability and Learning Event, 13-15 November, in Juba, South Sudan. 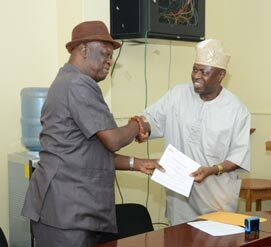 In a bid to disseminate IITA’s best-bet proven innovations, and improve the institute’s visibility, IITA and the Metropolitan Broadcasting Services (MBS) have signed a memorandum of understanding (MoU) to move the agenda forward. It is estimated that over 30 million people in sub-Saharan Africa depend on East Africa highland cooking bananas (EAHB) and plantain as their principal source of dietary carbohydrates. These include Matooke in East and Central Africa (ECA) and plantains in Western and Central Africa (WCA). 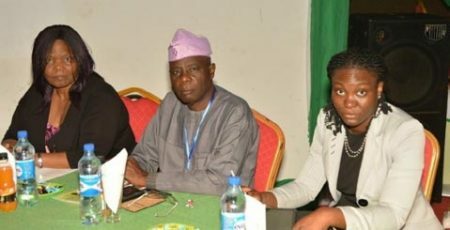 The 42nd Conference of the Nigerian Institute of Food Science and Technology took place 15-18 October at the Olusegun Obasanjo Presidential Library, in Abeokuta, Ogun State, Nigeria.